Marquez had powered his way through to the lead from 16th on the grid, but fell while managing his gap to Oliveira, giving the Portuguese rider a clear run to victory. 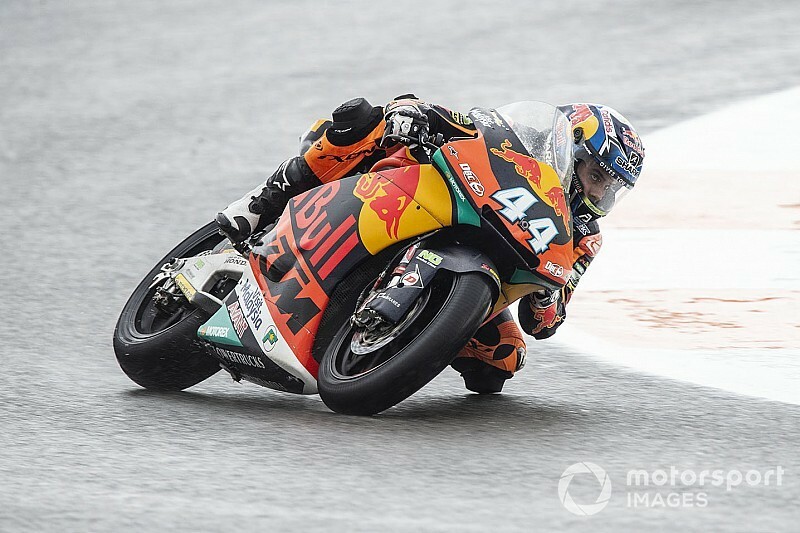 On a wet but drying track, Sepang race winner Luca Marini had started from pole position but was behind Xavi Vierge and champion teammate Pecco Bagnaia heading out of Turn 1, before losing his bike at Turn 2 and clipping Bagnaia – who stayed up but dropped out of the top 20. Behind that incident, MotoGP-bound rookie Joan Mir had an identical fall, separating from his bike before going feet-first into Luca Baldassarri's machine, which took the Italian out of the race as well. 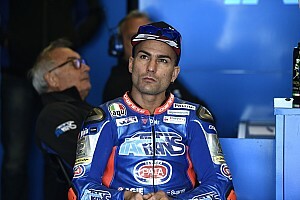 As mayhem unfolded behind him, Vierge soon lost the lead to the out-of-contract Mattia Pasini, only to re-pass the Italian on the main straight. 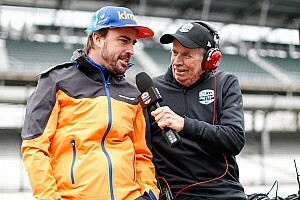 Both were cleared by Tech 3 KTM signing Oliveira shortly after and the championship runner-up briefly broke away from his pursuers – only to be reeled in and passed by Marquez in a few laps. By then the top four, made up of the leading duo as well as Vierge and Iker Lecuona, was already well clear of the chasing pack, although Vierge would crash under pressure from Lecuona as the race approached its halfway point. While Lecuona, who had started 21st, soon ran well wide and dropped back, Marquez was maintaining a gap to Oliveira, but with 11 laps to go the MotoGP champion's brother slid off at the final corner, leaving Oliveira with a massive eight-second lead. The KTM man controlled it from there for his third win of the season, while Lecuona bagged his maiden podium in second place. Marquez managed to remount after the crash and dropped no lower than third, fending off Pasini to salvage a podium finish. 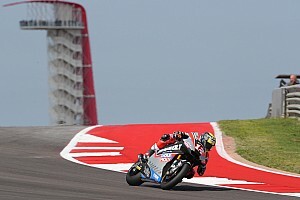 Fabio Quartararo, who will join Yamaha's Petronas-backed satellite team in MotoGP next year, had stalled on the warm-up lap and was forced to start from the pitlane. He powered his way through to fifth, although surrendered the spot to Remy Gardner on the penultimate lap, the Aussie picking up a career-best finish. Front row starter Marcel Schrotter was only seventh, ahead of Augusto Fernandez and the Italian duo of Andrea Locatelli and Simone Corsi. Bagnaia recovered from the Marini incident to claim 14th place ahead of his switch to a Pramac-run Ducati MotoGP bike next year. Oliveira's teammate Brad Binder and former Aprilia MotoGP racer Sam Lowes were two of the other riders to crash out in the season finale.